Dance Commentary by Heather Desaulniers: San Francisco Ballet - "Must See Balanchine"
Patrons at Saturday afternoon’s San Francisco Ballet performance were in for far more than the typical mixed repertory bill. In fact, the fourth program of the 2017 season, “Must See Balanchine”, is really a visual dance history seminar, dedicated to the choreography of seminal dancemaker George Balanchine. For a little under two and a half hours, students, fans and enthusiasts could truly immerse themselves in Balanchine’s choreography, seeing the work unfold live, performed by expert practitioners. And with ballets from Stravinsky Violin Concerto to Prodigal Son to Diamonds, this animated lecture more than succeeded at highlighting the choreographer’s extensive range and breadth. Notable standouts included the men’s allegro sequence with its striking Russian pas de chats, and the tableaux imagery found in the ballet’s third movement, Aria II. After two featured duets, the ensemble returns to the stage in the Capriccio chapter, a joyful statement of connection and community, personified through stirring percussive phrase material. But the most compelling performance was found in Aria I, danced by Jennifer Stahl and Luke Ingham. With barely any lifts, Stahl and Ingham offered a true pas de deux, or ‘dance of two’. From Stahl’s promenades in attitude to her series of back bends to the duo’s mime-inspired port de bras, their pairing in this ballet was one for the history books. Assertions of independence and willful desire mark the beginning of the Prodigal Son’s journey. 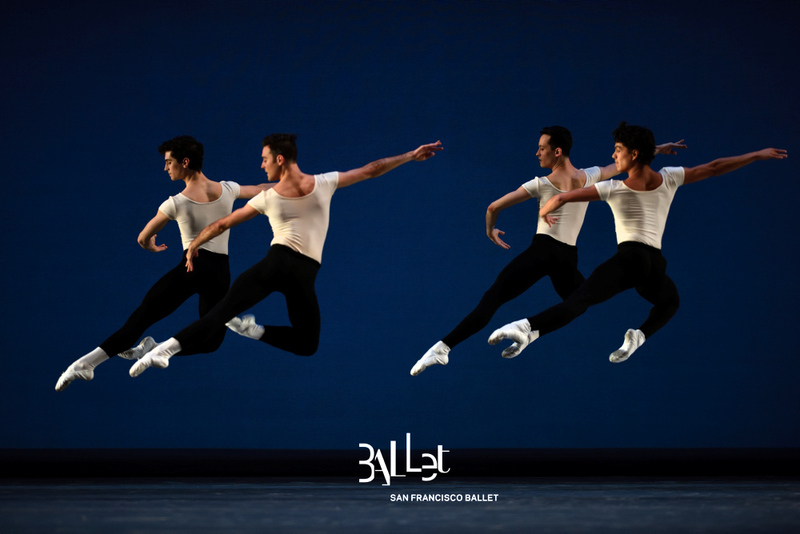 Portrayed with gusto, fire and heart by Vitor Luiz, the protoganist proclaims his headstrong independence in the ballet’s first scene; his intention to chase a different reality from that which he had been living. This fierce individualism comes through loud and clear, particularly pronounced in the iconic jumps and thrilling multiple turns that comprise the Prodigal’s early variations. Georges Rouault’s skillful scenery/costumes both elevated the ballet’s mystique and fittingly framed the action (and reminded me of Chagall). That is, with the exception of the servants’ costuming, which looked out of place with the rest of the design. In addition to the twelve corps de ballet couples, four featured pairings are also part of Diamonds’ huge cast. After the grand pas de deux, these four duos, Zahorian and Di Lanno engage in concerto-like exchange with multiple entrances and exits. First there is a lovely pas de quartre by Ludmila Bizalion, Thamires Chuvas, Elizabeth Powell and Ami Yuki, ripe with sprightly ballon and pas de chats. Next Di Lanno layers in giant assemblés and whirling turns. Then, a short, but musically complex variation for Zahorian, including some unpredictable and dynamic en dedans spins. And Diamonds closes with its grand procession and unison codetta, some of the choreography feeling very much like a class reverence. A farewell, yet not forever, only for this moment.